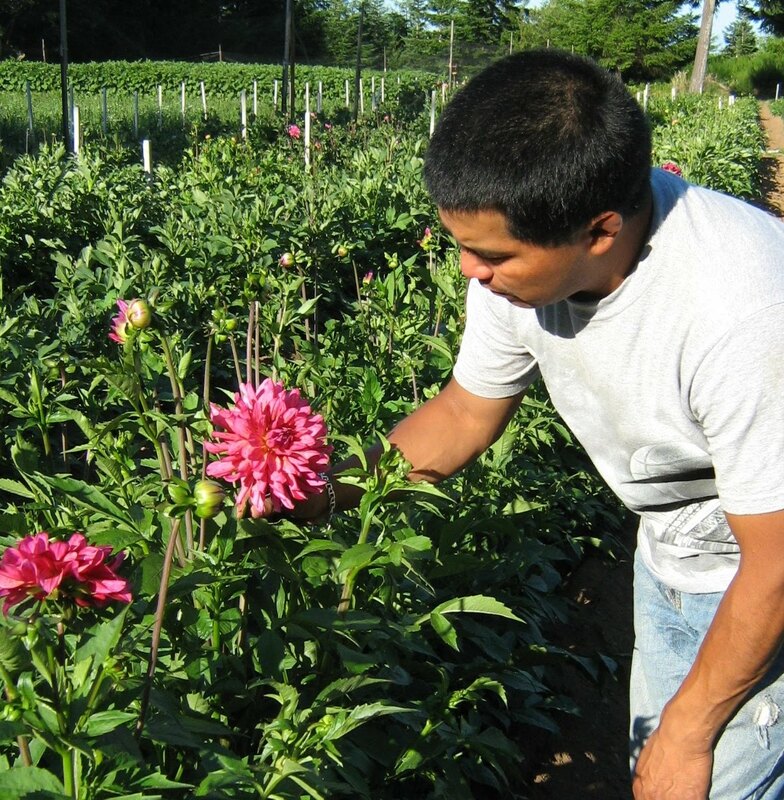 As you read this, the dahlia growers at Lynch Creek Farm are making their summer estimate of how many healthy dahlia tubers will be available for sale during the coming season. 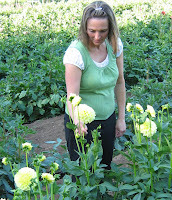 And on August 1, the Farm will open its site for dahlia tuber sales. The dahlia tubers, of course, are still in the ground, beneath exuberant plants whose luxuriant growth in this cool summer will translate to nutrient-packed tubers for the following season. 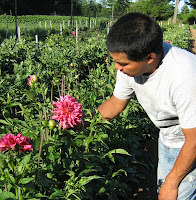 The in-the-field counts will indicate how many of each variety of dahlia the Farm is likely to have, with delivery to take place next spring to the various growing regions at prime planting time. What these early sales offer is the opportunity to reserve your favorite tubers (or to peruse the catalogues and decide what might be your next new favorite), and then make sure it's not going to be sold out during the peak sale season in the late winter and early spring. 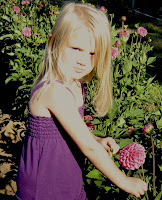 While you're at it, you might check out Lynch Creek Dahlias' Facebook page. 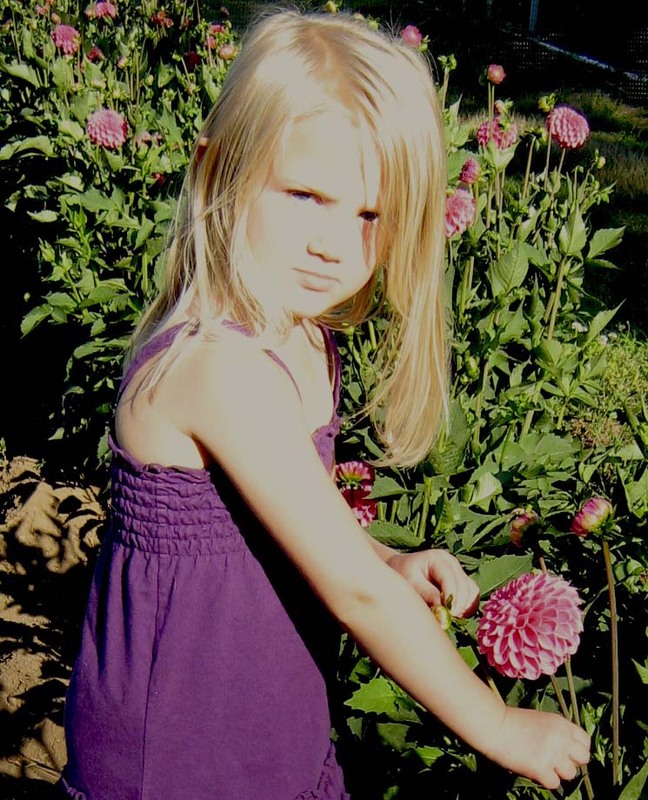 You can find out about special deals and benefits, "like" the page for a chance at discounts, and look at some drop-dead gorgous dahlia photos. And stay tuned: shortly, we'll announce the date when those of you in Western Washington can find beautiful bouquets of Lynch Creek dahlias at the Olympia Farmers Market.